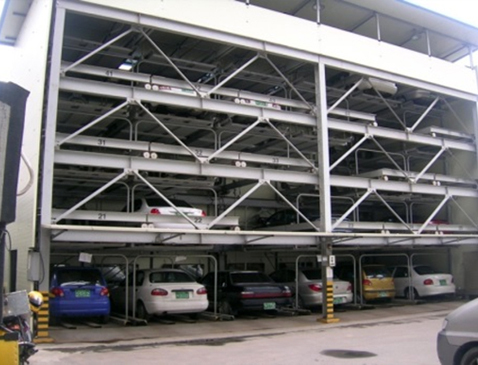 Parking system may consist of 1 and more levels, where each pallet is equipped with drive device for horizontal and vertical transportation. 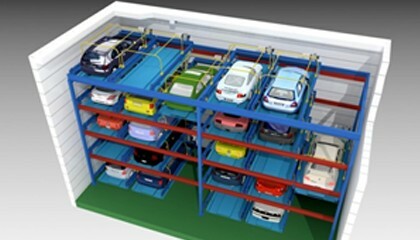 During entry and retrieval all pallets move simultaneously in order to secure necessary space for one particular pallet. Easy-to-operate. 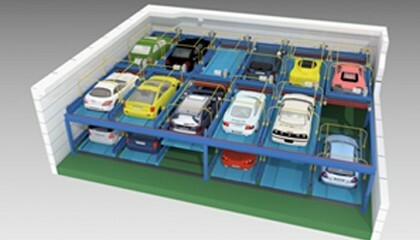 Possibility for several modules installation. 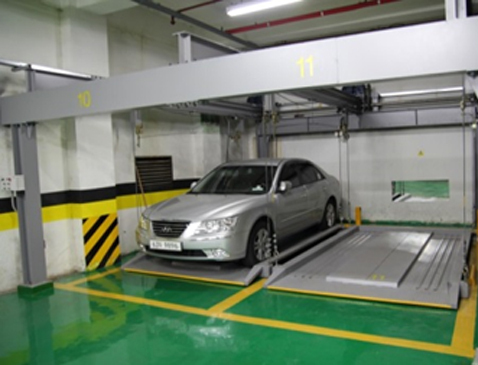 Equipment manufacturing and installation don’t require much time. Simplicity and low possibility of breakdown. Construction may consist of 2 and more levels. 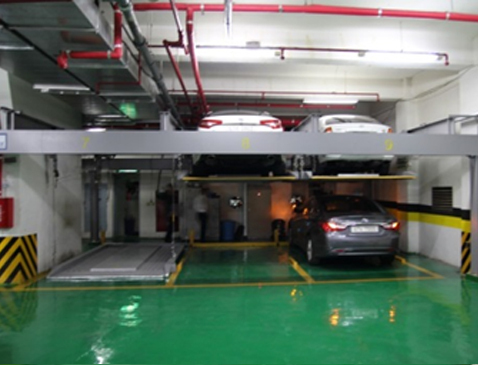 Simple vertical and horizontal transportation, high speed of vehicle entry and retrieval. 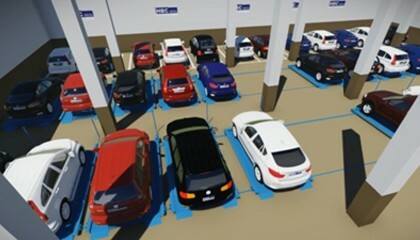 APS is designed for parking space for 3 and more vehicles where adjacent modules can provide up to few hundreds of parking spaces. The simplest system of all requiring low level of exploitation cost. Module substitutability may be implemented in case of breakdown.